Doors | Superior Lumber, Inc.
A beautiful entry creates a dramatic first impression and a welcome focal point for your home. Make that first impression distinctive with an entry door system from Taylor. 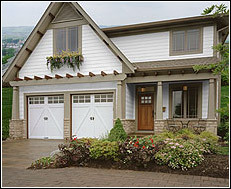 Taylor door systems are built with lasting value and performance using premium quality components and workmanship. Available factory finished for maximum durability in over 80 paint or 8 stain colors to match your decor. Optional aluminum jamb cladding in custom colors for a truly maintenance free exterior. Your choice of steel, stainable steel, fiberglass or steel exterior/wood interior doors to match your home style and taste. A Taylor door will ensure a memorable entrance that will provide curb appeal and make your home the envy of the neighborhood. For over 50 years, Larson has brought innovations, value and quality to the storm door business. We?ve compromised nothing and built craftsmanship into every detail of our product. Whether you want to showcase your entry, seal a draft, let light in or ventilate, Larson storm doors can help you add value to your home. Larson revolutionized the storm door market when we invented the ScreenAway retractable screen and balanced window system. With just one hand, the screen disappears into a hidden cassette at the top of the door. Available in fullview, midview and highview. Bilco Basement Door Classic Series Direct basement access allows homeowners to get the full use of their home. Large furniture, game tables and bulky appliances move easily in and out of a Bilco basement door. 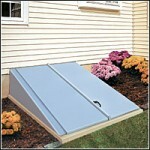 Garden tools, deck and patio furniture and pool supplies go directly to and from the yard. Service crews can go directly to the utilities, reducing traffic and potential damage to floors, walls and property. Enhancing its consistent quality with constant technological innovation has earned IDEAL Door® garage doors recognition as an industry leader since 1963. On these strengths, IDEAL Door is well positioned for the future. Today, home owners, architects, and builders rely on IDEAL Door for all their current door needs and depend on our expertise for future door requirements.